Nope! Ear plugs, towels, shampoo, conditioner, and body wash are all supplied. Feel free to bring anything else you'll require for your float such as your contacts case, comb, or hair dryer. We recommend not drinking caffeine before your float, as this will hinder your ability to relax. We also recommend not shaving on the day of your float, as the salt can sting freshly shaven skin. Ideally, you will be neither too full nor hungry during your float. You will take a shower before and after your float, so feel free to come fresh faced, hair un-done and ready to shower. We recommend wearing ear plugs during your float; it helps with added soundproofing, and prevents salt from entering your ear canal. Don't worry, you will still hear the music with ear plugs in. What if I just dyed my hair? You typically need to wait 2 weeks after permanently colouring your hair before you can float, and 60 days if it's temporary hair dye. We ask that you get your hair wet and rub it on a white towel, and if there's no colour transfer, you can then float (this is especially true for vibrant colours such as red or blue). If you do have a vibrant hair colour, we will ask you to test on a white towel once you're here. (Hair dye can stain the pod!) We don't recommend you float if you use keratin treatments for your hair. Yes, floating is great for relieving tensions while pregnant. We just ask that you come in after your first trimester. Please consult with your physician prior to floating. 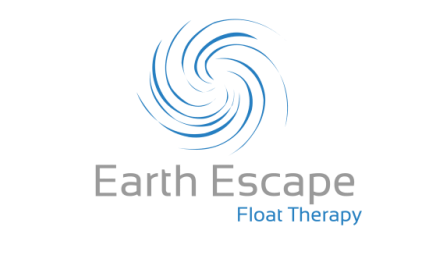 If you have a heart or kidney condition, diabetes, epilepsy, inner ear issues, or any medical condition we recommend that you get your physician's approval before floating. We request you don't float if you have a cold or any kind of infection. People have experienced vertigo while floating when unwell. If you are prone to motion sickness (car or sea), floating may cause similar feelings for you. Is the room set up for persons of limited mobility? ​Unfortunately our room is not set up well for limited mobility. We don't have permanent grab bars in the shower or pod, although we can attach strong temporary ones if requested ahead of time (although the placing of them isn't ideal since the pod is a curved surface). The pod has a 2.5 foot step over-and-in, and although the bottom of the pod is a non-slip surface, the epsom salt saturated water makes it quite slippery. We request you bring a strong caregiver (ideally two) to help you in and out of the pod if needed. Please contact us to arrange a time to come view our room to see if it will work for you. Yes. The water is filtered 3.9 times between each client through a 10 micron filter, which is capable of filtering debris as small as 1/4 the diameter of a human hair. The water is treated with chlorine and UV light, which rids the pod of any micro-organisms that could survive the salt content (1000 lbs of pharmaceutical grade epsom salt). We thoroughly clean the room (shower, pod, floor, handles etc) with a disinfectant in between each person. ​We test our water parameters every 4 hours to ensure our water quality remains pristine. We operate under Northern Health's Guidelines, and send our water off for lab testing regularly. We take the health of our water very seriously. No. The water is kept at skin receptor neutral temperature. Floating is all about reduced sensation, and that includes touch. After a while, you can no longer feel where the water meets your body, and this gives you that 'floating in space' feeling. How many float pods do you have? We have one float pod. Do I wear a bathing suit in the pod? You will have complete privacy in the room (equipped with the pod, a shower, and a bathroom all to yourself), so a bathing suit is not necessary and may even take away from the float experience. The less sensation you have on your body the easier it will be to enter deep relaxation. It is completely up to your comfort level however. Yes, Just wear a tampon or menstrual cup as you would for swimming. You are in control of the experience, and can open the door or get out at any time you want. You always have the option of keeping the door propped open and keeping the lights on. Once you're comfortable with turning the lights off, it feels quite spacious inside, as if you're 'floating in outer space.' When the lights are out, you don't have a visual reference for where the walls are, which makes it feel more spacious. Many people report that they don't feel claustrophobic once they're floating.